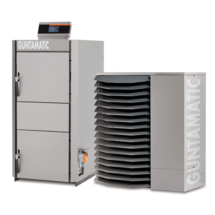 The innovative combination of a highly efficient log heating system and advanced heat pump technology offers optimum heating convenience with first rate levels of economy. 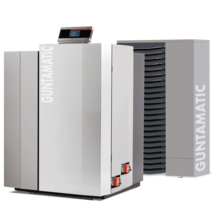 The innovative combination of a highly efficient log heating system and advanced heat pump technology offers you optimum heating convenience with first rate levels of economy. 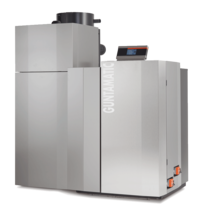 The VARIO combines the benefits of the innovative and highly efficient BIOSMART biomass converter with the convenience and economy of the BIOSTAR pellet system. This means the highest level of flexibility, optimum economy and perfect convenience. 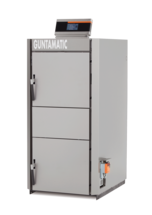 The BMK Vario-P combines the benefits offered by the innovative and highly efficient BMK biomass converter with the convenience and economy of the BIOSTAR pellet system. This means the highest level of flexibility, optimum economy and perfect convenience. 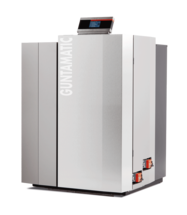 Highly economical GUNTAMATIC wood gasification boilers for logs up to 0.3 m long are equipped with an innovative combustion concept and represent efficiency of the highest level. 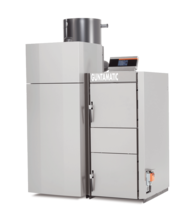 <br/> Thanks to their robust stainless steel construction and their rotating combustion chamber, Biosmart wood boilers offer a particularly long service life. Our BMK stainless steel biomass converter is the perfect solution for all those who seek an innovative log heating system with rock-solid workmanship. It is extremely user friendly, robust and convenient to use. It sets new benchmarks when it comes to efficiency and reliability.